A recent study published by Weber Shandwick, one of the largest public relations agencies in the world, reveals that the majority of the CEOs of the most important companies worldwide (64%) are not “social”. “, That is, they do not use the digital environment and social media to contact and converse with their main stakeholders. The study “Socializing Your CEO: From (A) Social to Social” analyzes the publicly visible communication actions of the top executives of the 50 leading companies in the world. Approximately 9 out of 10 CEOs of the top 50 companies in the world (93%) routinely use traditional forms of external communication: 93% are cited in most industry and news publications and 40% have participated in concerted conferences towards an external audience and not an investor. However, online communication did not suffer the same fate in the management circle. Most of the online visibility of CEOs is limited to what appears on them in Wikipedia: a collaborative encyclopedia based on the Network and whose content is not responsible for the CEO or his communication team. If we discard Wikipedia, we get that the CEO’s online space is quite deserted: only 36% collaborate through the websites of their companies or in social media channels, either as “messages from the CEO” on the company’s website, through videos / podcasts on these web pages or participating in corporate channels on YouTube, Twitter, Facebook, LinkedIn, MySpace and corporate blogs. How is a social CEO? “Social CEOs” run companies with a high reputation. The most admired CEOs in our study had profiles with greater online visibility than those less admired CEOs (41% compared to 28% respectively). The “social CEOs” act on different platforms. 72% of “social CEOs” use more than one channel when they interact online. A “social CEOs” uses on average 1.8 channels. The “social CEOs” usually come from American companies. CEOs of companies based in the United States are more likely to interact online than those located in EMEA (60% vs. 12% respectively). Although the size of the CEOs of Asia Pacific and Latin America is too small to allow a reliable comparison, there are indications that they are also at low levels. The “social CEOs” have a long history. CEOs who have been in their position for a short time (up to 3 years) have a lower tendency to get involved online with respect to those CEOs who have a moderate time (between 3 and 5 years) or who have a longer period of time (more than 5 years), representing 30% compared to 38% and 43% respectively. What online channels do social CEOs use? When CEOs acquire a social profile, most often post their letters or messages on corporate websites (28%). The content of these letters focuses mainly on corporate news and about the CEO’s leadership. On the other hand, social CEOs tend to appear in videos or podcasts on corporate websites or on corporate YouTube channels (18%). Less than 10% of the CEOs studied studied Twitter, Facebook, MySpace, LinkedIn or participated in external blogs. Why do not CEOs develop a more social profile? There are compelling reasons why CEOs should adopt a digital profile. “In this increasingly digital era, CEOs should adapt the value of online connectivity with customers, with talent and with other important stakeholders. With 1,960 million Internet users worldwide, CEOs should be present in everything that people observe, read, talk or listen to, “says Gaines-Ross. “Our study of the most prominent CEOs worldwide reveals that traditional media are still the preferred markets for CEOs for their external communications. However, a change is taking place in the way that CEOs are associating these traditional media with social networks and other channels through which they can reach a greater number of stakeholders and show human image, something that is necessary ” says Gaines-Ross. Almost 4 of the 10 “most social CEOs” who have participated in the Weber Shandwick study may be pioneers at this time, but in the short term it is expected that the leaders who represent their companies do so as transparently as possible. The “social CEOs” will soon be something quite accessible ..
1. Identify the best online practices of your colleagues and the best social communicators. Establish and look for new challenges. 2. Start with the basic principles, such as online videos or photos. Take an inventory and incorporate existing corporate communications for an online retrofit. 3. Test participation in social media. You must know what you are facing before you get going. Start internally even though you should be aware that communications to your employees can be expanded externally to your company. 4. Decide in advance how much time you can devote to “be social”, since it can vary from once a week to a table to a quarter or even less. You must judge for yourself what you think is most convenient. 5. Use forms of expression that capture the attention of the public you are interested in addressing and humanize the reputation of the company. 6. Accept the fact that “being social” should be part of your corporate reputation management program. 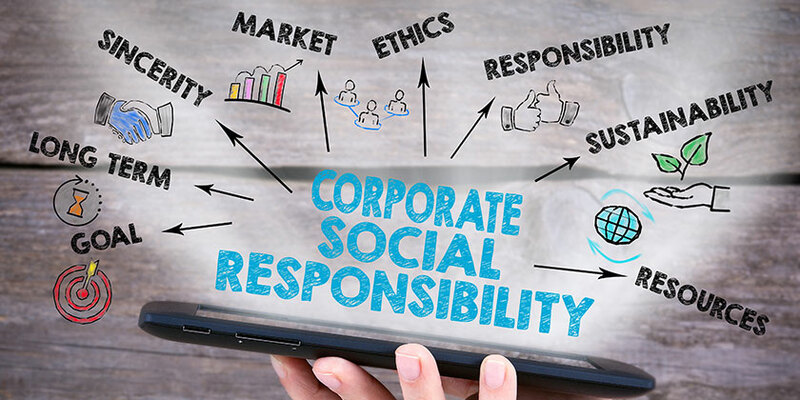 Manage your social reputation and your corporate reputation for a determined purpose .